At Musikmesse Frankfurt 2006, Hall 5.0 C17, Wersi will highlight Xenios which was previewed at Musikmesse 2005 and now is available in its final version. Featuring two keyboards, the highly portable Xenios comes with OAS 7, the latest version of Wersi's Open Art System, and it provides a VST host which can handle four VST voices at the same time. 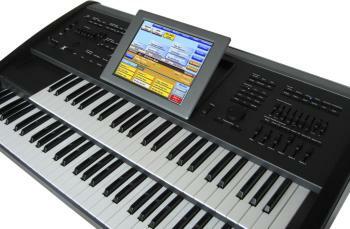 VST voices can be played on both keyboards and also be used in styles or songs. 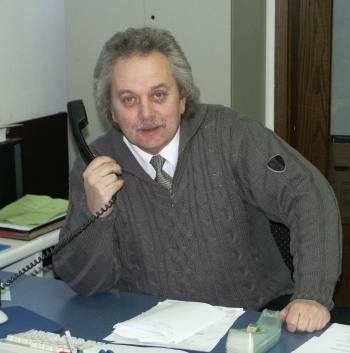 Wersi announces the return of industry veteran Helmut Kwiczorowski to the company. Having worked for the German manufacturer of organs and keyboards as Sales Director in the the eighties and being an experienced musician himself, Helmut is familiar with the Wersi family. "We are excited to have Helmut joining us again," says Wersi's CEO Ulrich Wildhack. “He will be a tremendous addition to our team taking over the task of re-building the international distribution for our highly acclaimed instruments based on the acknowledged Open Art System." As Wersi traditionally has a broad customer base in the UK, Helmut Kwiczorowski has recently appointed Allan Ellis of Harmony Music as new distributor for the United Kingdom. Based in Boston, Alan will be strongly assisted by Wersi in establishing customer support and service. Master classes on Verona and Scala are planned for spring 2006. Wersi will be present at the Pakefield and Blackpool festivals as well as at all major organ events troughout the UK. Franz Lambert is already looking forward to do at least three shows in England. The launch of Wersi Prime Time Magazine marks another important step in providing Wersi players with valuable information and support. Covering all about Wersi organs, pianos and the latest OAS7 operating system, two more issues of Wersi Prime Time Magazine are scheduled for 2006. "We are really looking forward to welcoming many visitors from the United Kingdom at our traditional 'Spring Festival'," says Helmut Kwiczorowski. "All of our famous German players and some of Wersi's UK endorsers will be performing."